Please take a moment to tell us what Maurice White meant to you. Maurice White was a musical visionary, a musical genius, a great singer, a great drummer, a great arranger, and a great producer. He will be missed on this earth. Ero poco più di un bambino, ho imparato ad ascoltare musica per merito tuo e ai tuoi compagni di viaggio, mi hai fatto commuovere, innamorare e sperare in un futuro migliore. Tanti di noi, questa volta, quaggiù, scriveranno una canzone per te, e chissà, ascolteremo il tuo prossimo concerto in un altro tempo ed in un altro luogo. Thank you Maurice for the rhythm and the amazing horn sessions you gave us, we miss you. You taught me how to listen to music. Without you I would have never explored other sounds, other dreams, other lives. For this I will be eternally grateful. What does Maurice White man to me. Maurice White and Earth, Wind and Fire is the portal to my youth, good times and happier day. Putting in a Earth, Wind and Fire CD is like stepping into a time machine and when the first note of each song hits, I am transported back in time. The songs Maurice wrote, his vision, his strength, his voice and his love made the music he made, great. We all remember different times growing up, certain television shows, a special person or place, a song. For me, Earth, Wind and Fires songs take me back, each an every time, to all of those things. What a gift Maurice White gave to millions of people on this planet. Songs and the memories that are attached to them forever in our hearts. Maurice, man, your songs helped shape the person I am today by always spreading a positive message of love. God Bless you Maurice White. You are truly loved and missed by so many. Rest in power my brother. Raised in spirituality, groomed to serve, my initial inspiration to do what is right in Christ has provided me wisdom to become a man. In my youthful experiences, I found other influences with similar messages that taught me to live, love, and be a better man throughout my life. Earth Wind and Fire provides such inspiration still to this day (kalimba). Rest in Peace, Maurice White. It was July 1976, Providence Civic Center, Providence, R.I., my first concert. I had no idea what I was going to be hit with or for better words, branded with the Maurice brand. Since then, I have never listened to music the same way. Maurice’s vision intoxicated everyone’s minds. Allowed them to escape whatever they were going through, happy, sad or whatever. This vision isn’t something you purchase at the near by store. It definitely was a God given gift that was lent to him, to use to capture the hearts of a multitude. It crossed every demographic boundary, breached color barriers, touching and embracing everyone in its path. The heavenly Father entrusted this to Maurice and he ran with it and never looked back. Though I’m sadden that he’s no longer here with us, faith tells me here’s in the ultimate vision and knows exactly the real meaning of the vision he was given to share with us all. My love for music was birth through Reese’s vision and I fully comprehend what drove him to do it. The elements are Earth, Wind & Fire, but Love will always be the denominator that draws us to the unity the vision exudes. Maurice mentored so many throughout this world that he never met face to face and I’m just one of them. My dear brother, rest well, you deserve it for a job well done. Thank you Maurice, for the music and the love you shared with the world. God blessed us with a beautiful wonder. The world forever grateful to you and EWF! Much Love! Earth Wind and Fire touched more than my heart, they touch my soul. It is sad to watch them without Maurice, but they are still a force. Thanks God for talent that transcends the ears and goes straight to the heart! Been riding with “Gratitude,” the best live album ever made, at least once a week for 40 years now. Always brings a smile to my face. Thanks, brother, for leaving a legacy. It all began with the tune…”Keep Your Head To The Sky”, and then I was hooked! Earth, Wind & Fire’s music has personally been a great source of strength and inspiration throughout the last forty-two years of my life, and more. Their music carries a message that lights the path towards a sacred promise — born from spiritual awareness to guide humanity’s quest for hope and eternal fulfillment. From inception to beyond their message has inspired, instilled, and brought hope to those more, and less fortunate under the direst of circumstance. Through artistic brilliance, their message serves as a spiritual beacon, of love for the teacher and student, preacher and minister, saint and sinner, achiever and dreamer…God and son. As Dr. King once noted, “The ultimate measure of a man is not where he stands in moments of comfort and convenience, but where he stands at times of challenge and controversy”…yet, still the mighty elements withstand the test of time. From concert halls, to walks of fame they transcend the generations, with their special message of love, as their guiding light. I pay a special homage to Maurice White, the ambassador of peace, and legendary leader of…EARTH, WIND & FIRE. P.S. Years ago I started a special section of my own personal website totally dedicated to the best band to ever grace a stage….. Thank you, Maurice. You were my strict music teacher, and also cheerful uncle. Your music will be always with me in spirit. I must raise my glass not only to Maurice White, but to all of EW&F. I first learned of EW&F in my early teens in the late 1970’s after wondering what song two girls in my 7th grade class were singing to themselves. It was the song September. No music, just their singing. It sounded groovy even in its a-capella form that I had to find out what it was. Soon, I was hearing it on the radio and have enjoyed the top-40 releases of the other EW&F songs since then. It was sad to hear that Maurice White passed away. And with no less admiration for the other EW&F band members, I enjoyed the exposure to their unique form of funk and groove in my life, especially during their early 1980’s electronic age. EW&F band members have always done a wonderful job compounding their individual talents into an enjoyable musical style. Maurice and his voice will surely be missed. Maurice White’s magnum opus in my opinion is ‘Faces’. All the songs on that album are still standing! RIP Maurice! Sincere Sympathy to Ellene, Eden, and Verdiine, Fred, and Kahbran. There is no doubt you are in a better place, because even God loved your talent and obviously provided it to you. I saw you perform with Earth, Wind and Fire in VA in 1978 as a young Private First Class in the Marine Corps and was blessed to see you again last year, 2015, at Jiffy Lube Live in VA again; this time as a retired Gunnery Sergeant! It was wonderful to listen to REAL music again. They should send all rappers to some kind of music school and play ALL of your music. You will be sorely missed. You were one of a kind! Maurice White, I met while on tour in Europe. Maurice in my eyes and in my heart was a SEE – ER he could see Love, Peace, and Happiness in your Spirit in ways no one I’ve ever met could, he was Sincere in his perception on how he could see the World and he reflected that in his music. After meeting Phillip, Ralph and Verdine I could then see EARTH, WIND, AND FIRE. Together they are and will always be ONE with the UNIVERSE and ONE with GOD. I am a better person for knowing one of God’s Angels who shined his Light on me. My condolences to his Family. THANK YOU FAMILY FOR SHARING THIS ANGEL WITH US. MAURICE PLEASE CONTINUE BLESSINGS US THROUGH EWF. WE WILL ALWAYS AND FOREVER BE GRATEFUL. R.I.P. MY BROTHER. It started with EWF.. the influence rubs off on my kids who are 10yrs old now taking this music with them into their generation. Your music crossed all cultures, and generations and will never die. (Saw you live in Birmigham UK a bout 5 years ago, will never forget) . Please release more unreleased cuts from the 70-80s era in remembrance Of Maurice. Rest in Peace. Maurice opened our eyes a little wider. Took us a little further. He was a voice of expression for our generation of soul listeners. When our eyes locked on Vine St. & Willoughby the 24th March 1974 i appreciated from that day to this witnessing what the light of love looked like in another hue-man being, whose “MUSIC” touched my soul. May you rest in eternal power free from all discomfort. A woman on the radio Sunday summed up your worth and value best. In the act of buying your music… “YOU saved many of us a lot of money on therapy”.” ldl… Until we meet again, w/love, #BoogieDown King!! Maurice White, a musical mentor, a teacher, an inspiration. His music pictures the soundtrack of my life. Elements of the musical universe: Earth, Wind, Fire and Maurice White….He will be missed. Our heartfelt condolences to the White family and the EWF family. Been following you since i heard “Evil”…a 15 year old white boy into his white music, well that changed that day…..That was 1974, and I have been blessed that i was witness to so many live shows, incredible shows that we were usually one of the 1st 20 in line to get tickets (that’s how we did it back then!) Your music is timeless and will live eternally as will Maurice….We thank you for bringing joy to our lives through your music and showmanship every day of our lives….thank you, again, and our prayers to all of you…..
Maurice White, You marked a whole new era, whole decades and you will keep on marking new good times yet with the music you left us, with good music… the one that now it seems to disappear. We were lucky to have persons like you in this world. I was not fortunate enough to be born at the time you were touring but I saw you on videos and heard you on the radio and it brought happiness and joy to me. I really thank you. You changed me. And of course, the whole group and every musician that has been playing in it. Love. The sad reality of getting older is that you start to lose people that you grew up with, directly and indirectly. I was/am not only a huge Earth, Wind & Fire fan, but I’ve also have had the privilege of being in radio and promoting their new music over the years too, so I became emotionally attached. I still remember the first E,W & F 45 I bought back in the late 70’s, “Fantasy” . Eventually I purchased every single prior to and everone one since and always looked forward to hearing Maurice White’s lead vocals. If Philip Bailey is the “soul” of the band, Maurice White was definitely the “heart”. For me, it’s been a devastating year so far with the losses of Maurice White, Glenn Frey & Paul Kantner to the point that I’ve been thinking about my own mortality, yet I realize that we all have that transition to make one day. Maurice brought much joy and happiness to people around the world for several decades and he did indeed “Touch The World”. If a man is measured by the legacy he leaves behind, then Maurice established that a long time ago and was definitely amongst GOD”s chosen few. You will remain in our hearts for the rest of our lives. Throughout my life I have been blessed to be surrounded by positive forces. I started listening to EWF as a teenager in the 1970’s. The music of Earth, Wind & Fire was – and still is – one of those forces. Thanks to Maurice and the entire EWF family for keeping the message positive. I look forward to more great music from EWF. Condolences to the EWF family. RIP Maurice. Agradeço de coração pelas suas musicas geniais que alegraram minha juventude e alegram até hoje minha vida, fique em paz !!! Not just a fan of EWF but a believer in the message. Through your vision Maurice you have shown me the way to be a better man, with a positive outlook, a love of life. At the age now of 29 I missed on the opportunity to see your vision at its prime but through your legendary music I can sit and close my eyes and picture you singing, the Phenix Horns blowing, Al McKay strumming, Verdine thumping, and the rest of the boys grooving! Your music transcends the body and mind. Your words, your groove, your message has enriched the lives of not only mine but many around the world. I met your son, in Sydney Australia and that was a delight in itself. Your legacy will live on forever. Maurice was my idol for 40 years. My first album was “That’s the Way of the World” . His music brought me joy and happiness along with sending out positive messages. He was a very talented man, fantastic song writer, and singer. Maurice will always hold a place in my heart, and my thoughts and prayers go out to Verdine and Fred, along with the rest of the White family, in addition to Philip and Ralph and the entire Earth Wind and Fire band past and present. Thank you Mr. White…It was all about love. First and foremost, to Verdine, Fred and the White Family and fellow band members.My deepest prayers and condolences. I can’t thank GOD enough for bestowing Maurice White and Earth, Wind & Fire, the musical GENIUS & ARTISTRY to the WORLD. Maurice’s lyrics , voice, and VISION, successfully proved that LOVE & SPIRITUALITY are ONE. Your legacy to mankind through song will NEVER, EVER BE FORGOTTEN. We can only imagine the celebration of your Life with our HEAVENLY FATHER…..WELL DONE MY SON. GOD BLESS YOUR SOUL MAURICE WHITE. REST IN POWER! THANK YOU MAURICE FOR ALL THE GREAT MOMENTS I HAD LISTENING TO YOUR SONG. I THINK ANGELS WILL BE SO HAPPY TO SHARE YOUR NEW LIFE WITH THEM. YOU WILL SHINE FOR EVER IN MY MIND AND MY HEART.REST IN PEACE AND GROOVE. A little piece of music died in me when I learned of the passing of the late great Maurice White. My musical existence was shaped by the sounds of Maurice White, Philip Bailey and the entire Earth Wind & Fire band. While chores were mandatory on Saturdays growing up, we got to choose our chore music from our parents’ albums, and EWF won more often than not. I even remember my dad taking us kids to Dupont Park in Washington DC to see them. Absolutely amazing! In many ways, they were my first teachers in music theory, vocal lessons, and songwriting. To this day, my sister and I still do the “Maurice White” to every song with a groove like “After The Love Has Gone”. As a matter of fact, my mother just asked me to do it the week before he died. Wow. 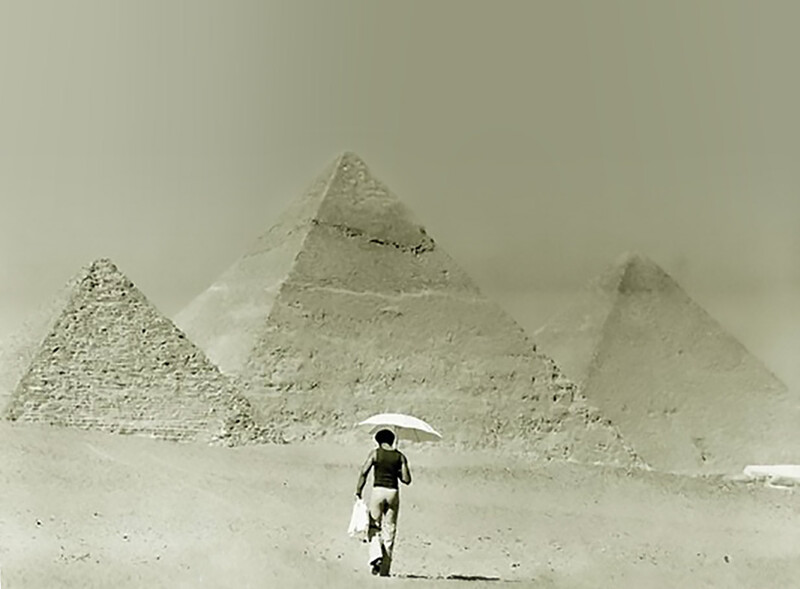 My heart feels like I lost an honorary uncle, because Maurice White has been a big part of music to me all my life. But I am so grateful that this incredible legacy has been recorded, that it will live on for all to listen, learn, and love. Rest in peace, dear soldier, and God bless and strengthen brother, Verdine White and family, as well as the entire EWF family. You were the Reason that I became interested in songwriting. Your music will live in my heart forever. Dear Maurice, I first heard your music in 1971 when I was 20 years old. Thank you for 45 years of your amazing music that has often uplifted me and fed my spirit when I was really down. I still play EW&F on my way to work and back because it makes me feel so happy… songs that I’ve been listening to continuously all of these years. Rest in peace, Maurice. I trust that we will continue to hear you through your brother and all of the other band members. Thank you for your gift of beautiful music and energy! What a tremendous loss. I grew up with EW&F and, as a drummer, Maurice’s funk filled music and rhythms just knocked me out. I would play along to the music and still do to this day…I’m 60. When he was with Ramsey Lewis, I’d play along with the Dancing in the Street album which got me hooked on jazz. His mastery at the drums was so tasteful and unbelievable. I have most all of the early albums and All in All simply blew me away. Their music is ageless. My only regret is not having seen them perform live while he was still with us. Just sad to see that we’re starting to lose some of the classic 70’s, 80’s artists already. I’m still in shock over his passing but I know that he’s rocking heaven, dancing in the street. God rest his soul. Maurice White. The man. The icon. The spiritual leader behind Earth Wind & Fire. For over 25 years I’ve been enjoying playing the kalimba. My one regret is that I wished I had a chance to meet Maurice for some tips. Thank you for decades of great inspiring music. Verdine, Philip and Ralph…my condolences and please keep the music playing for Maurice. EWF for life! Bro Maurice has been a true blessing to me for over 40 years. I have followed the band since 1972 and have been a loyal admirer ever since. When you have the blessing of sharing your gifts with the world, it is a true blessing from God. I have been a saxophonist for 43 years and i tried to pattern my style with jOHN cOLTRANE And the style of Maurice. We celebrate Maurice’s life and legacy. Much love my Brother….See you in the morning.